This could be the fast lane ticket into luxury sales supremacy. Grab the keys. Fasten the seat belts. Tune in the radio (via smartphone, of course). And possibly grab a 64 oz. Monster drink. Enter Kovert Creative into the highly competitive marketing world of luxury automotives. The bi-coastal agency has been making some loud news in the PRNewserverse lately, specifically headlining a list of the Holmes Report 2016 New PR Agencies of the Year. Typically, we’re not big on promoting other folks awards, because let’s be honest, that’s your job, but in year one to get that honor and then clean up with some junk in Cadillac’s trunk? 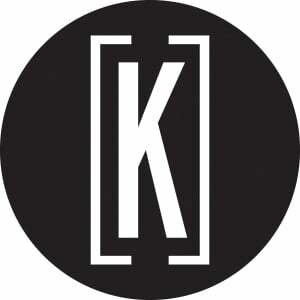 Hats off to Kovert, namely former PMK*BNC execs Joseph Assad and Lewis Kay, who took a shot and dove into the deep end of agency world and ended up creating a fun little firm created to complement WME-IMG’s main business areas: talent representation, content development and distribution. Now that the alphabet soup is out of the way, we had a chance to pull over Assad and some dude in the driver’s seat, Cadillac global communications director Andrew Lipman. Together, they offer some nice insight into this new union. What was it about the incumbent and that campaign that evoked a need for change for this prestigious brand? FleishmanHillard was the agency that Cadillac worked with previously for lifestyle communications. Cadillac did not have an agency of record, which is why we issued the RFP looking for a creative and comprehensive agency that can truly partner with the brand on this exciting journey. From Kovert’s press release, what “incredible transformation” is Cadillac undertaking? Why is it necessary? Cadillac is hard at work restoring this iconic American Luxury brand – we need to take our place back at the pinnacle of luxury. Cadillac has settled into its new global headquarters in New York and plans to open a brand experience center in the spring of 2016. Creating a more distinct Cadillac business unit enables it to pursue growing opportunities in the luxury automotive market with more focus and clarity. AOR means many things in the industry. What is it here? U.S. only? Advertising only? This was a communications / public relations RFP – not an advertising agency RFP. Cadillac selected Kovert for its ability to provide the services of a full scale PR agency – but with a creative edge and a clear focus on creating content that is relevant to media and consumers. That is what set them apart from all other agencies. Given Kovert’s brief “tenure” (previous agency partners notwithstanding), is this its first big win? If so, how does that feel being awarded such a notable brand with a tall order? On the brands side, yes, you could say that this is our first big “win,” and that was an intentional move for us as an agency. Over the past few months, we’ve invested full energy and dedication into not only winning this business, but setting ourselves up to succeed on the account over the years to come. So yes, being named global PR agency for such an iconic brand is a tall order but one that we were laser focused on achieving not only in our creative approach to the RFP but also in the people we hired to join Kovert on day one. On the talent side, in just a few short months since launch, we have already signed dozens of top-tier, creative-minded clients, ranging from actors and comedians, to writers and producers, and more. Our roster includes Amy Poehler, Jimmy Kimmel, Louis C.K., Jack Black, Bill Simmons, Will Arnett, Tracy Morgan, Larry Wilmore, and more. This is just the beginning for us as we solidify this early roster while broadening our offering well beyond the traditional PR domain.